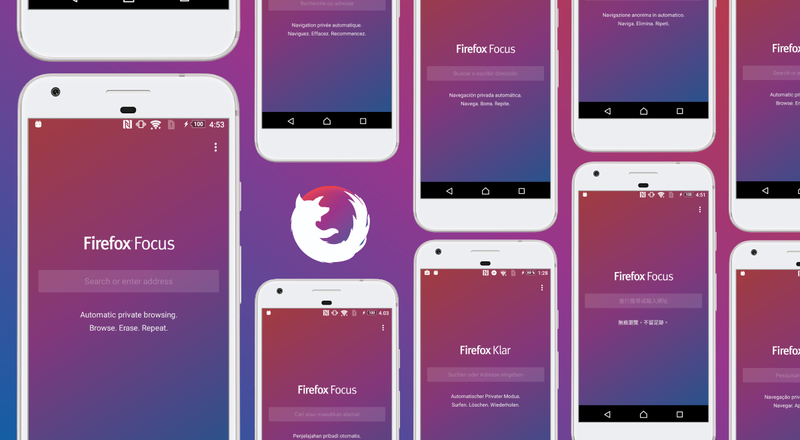 Firefox focus doesn't have tabs, extensions, or account managers. 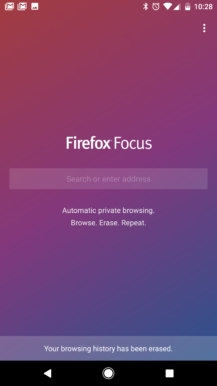 You just input a URL (or set Focus as your default browser) and the page opens. 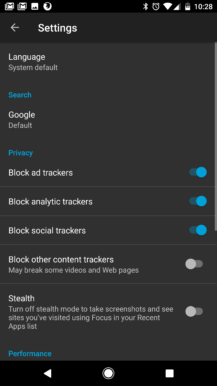 Ads and trackers are blocked by default, so Focus is really fast. If you do encounter a site that completely disallows access with ad-blockers enabled, you can shut that off in the menu. 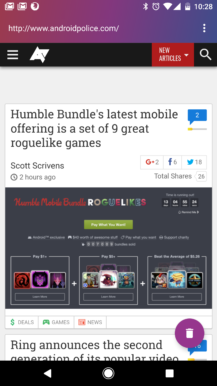 At the bottom of the screen is a trash icon, which closes your page and deletes history when tapped. There's also a notification that does the same. 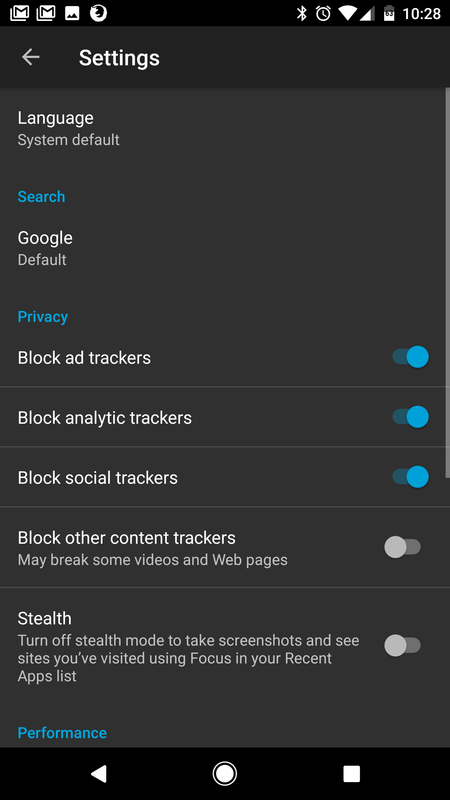 Be default, you can't even see your active page in overview or take a screenshot, but that too can be turned off in the settings. 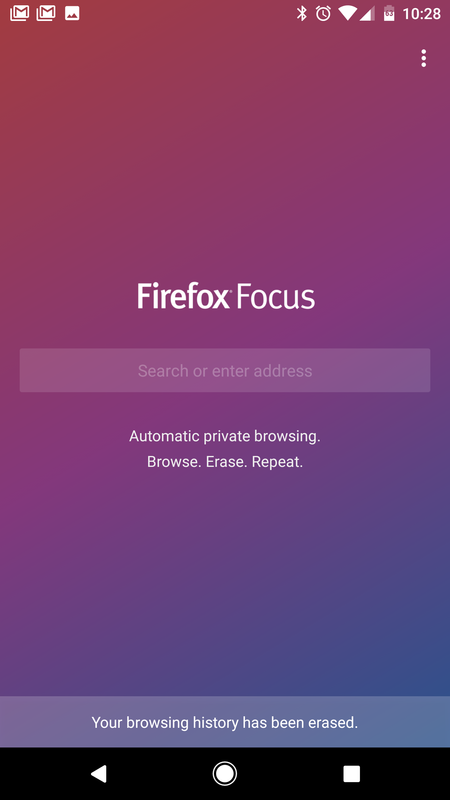 If you want to give Focus a shot, it's live in the Play Store and on APK Mirror.